How can I avoid a high cost minimum benefits medical aid? Why pay through your neck for anything that doesn’t give good returns? Talk to any medical aid members and you’ll hear the same gripe – rising premiums and less benefits. South Africa’s medical schemes once again announced significant contribution hikes at the start of 2017. That was accompanied by a reduction in benefits. The more for less attitude of medical schemes is leaving South Africans angry and frustrated. The high cost, minimum benefits of PMBs has put many medical schemes under financial pressure, and with rising medication- and hospital costs, medical aids have ensured their members have seen double digit contribution increases at the start of 2017. The costs of providing Prescribed Minimum Benefits (PMBs) is taking its toll. Medical schemes have to pay PMBs in full. Data shows that there are some providers inflating their tariffs for PMB services. This simply is indicative of another problem the medical schemes of South Africa are facing – there are no longer guideline tariffs for healthcare services. Yes, medical Medical schemes have to cover the treatment of these 270 pre-defined conditions so that you don’t have to make co-payments for them. When you probe a bit though, you find that these PMBs aren’t free – there are conditions or limitations to them. Your medical aid scheme can for instance, refuse to cover your medication if you insist on a brand other than what the scheme thinks you should be using. Your scheme may have a formulary – a list of medicines which is used to treat certain conditions. The scheme may have in its rules that it will only cover medications in full if your doctor prescribes from that formulary. Sometimes the medicines on the list are generics. Also there has been an increase in people with chronic illnesses, and the cost of claims by members with chronic diseases has risen. When the cost of claims increases by more than the inflation rate, it means high contributions for members. It is because of this ‘more-for-less’ trend that medical aid industry’s membership has remained much unchanged over the last 20 years. Medical aid members see the private health care industry as being merely profit driven. They see medical schemes in South Africa as being seriously inadequate in 2017. It is why it is so important to do thorough research on medical schemes so that you can sift the good from the bad so you don’t end up with a high cost, minimum benefits membership. Selfmed is a good, reputable medical scheme, offering uncomplicated, affordable products. 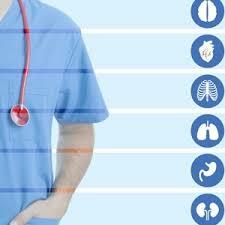 This registered medical aid offers options which meet all their members’ healthcare needs. Selfmed don’t use medical jargon to explain their plans and they don’t make you pay higher premiums because they’re investing in services and products that don’t have anything to do with health. Call them, and put all your anxieties surrounding medical schemes to rest. No high cost minimum benefits at Selfmed! ← Why Are Unlimited Medical Aid Benefits Not Quite Endless?